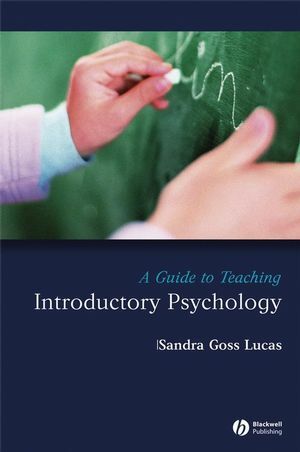 A Guide to Teaching Introductory Psychology focuses on the critical aspects of teaching introductory psychology to undergraduate students. It includes ideas, tips, and strategies for effectively teaching this course and provides useful answers to commonly asked questions. Sandra Goss Lucas is Director of Introductory Psychology in the Department of Psychology at the University of Illinois. Her teaching awards include the University of Illinois Campus Award for Excellence in Undergraduate Teaching and the Alpha Lambda Delta Award for Outstanding Teacher of Freshmen. Her publications include Teaching Psychology: A Step by Step Guide (with Douglas A. Bernstein, 2004).